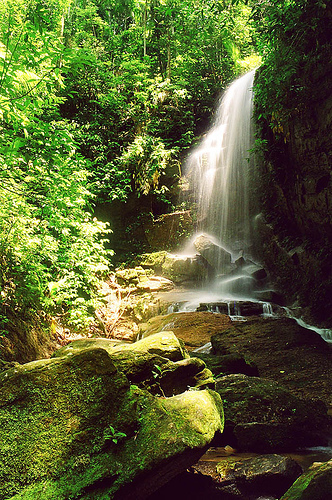 The trail da Cachoeira das Almas has its beginning near the Visitors Center of the Tijuca National Park. Most of the path is flat, with a few gentle uphill. The trail follows the creek bordering the Souls and passes through a well-preserved stretch of forest to reach the waterfall. The name of this waterfall comes from the time of slavery, when they made their cults of religions on site.